This is what the iPhone might look like without a home button. Switching between apps wouldn’t be the same without a Home button to click. An interesting new iPhone 8 concept out of Italy explores how changes within iOS could provide a seamless experience if Apple removes the only navigation button on the iPhone. The iPhone 8 is expected to feature a bezel-free OLED display that curves at the edges. By embedding Touch ID into the display, Apple will be able to reduce the size of the bottom bezel. A thin bezel at the top will likely be necessary for the selfie camera and rumored 3D sensor. 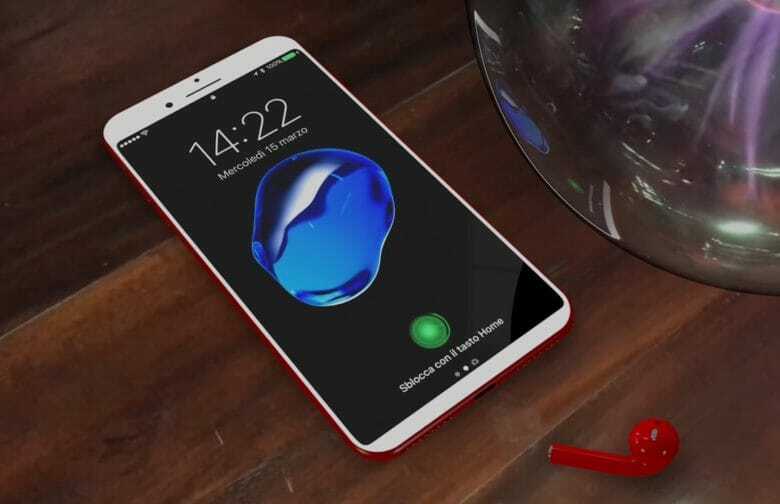 Rumors have also speculated new iPhone 8 features will include wireless charging, 3D sensors for facial recognition, augmented reality tech, improved dual-lens cameras and an all-glass body. Apple isn’t expected to unveil the next-generation iPhone until this fall.